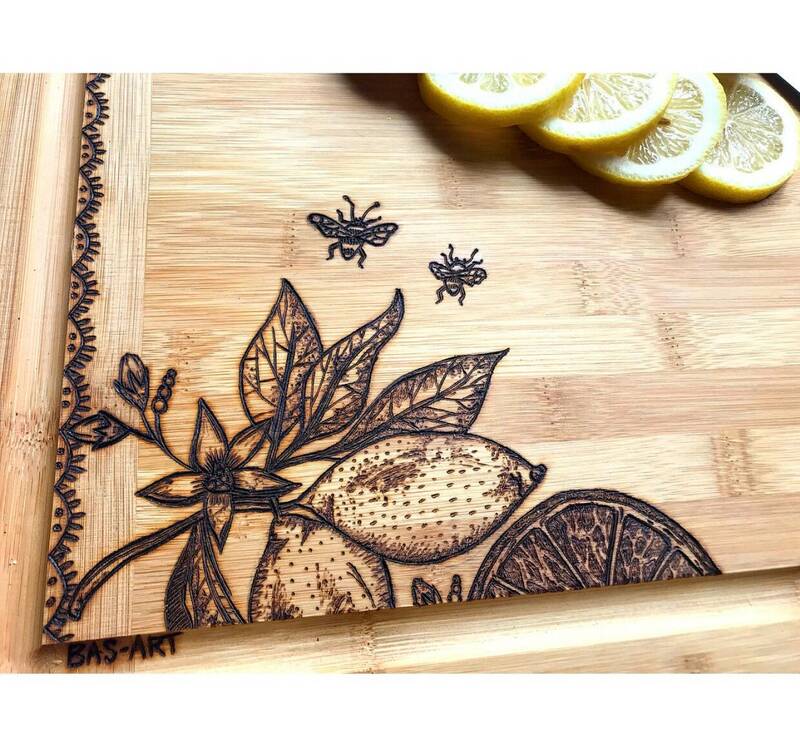 Hand burned lemon tree & bees design. Personalize now with last name, quote, saying etc. 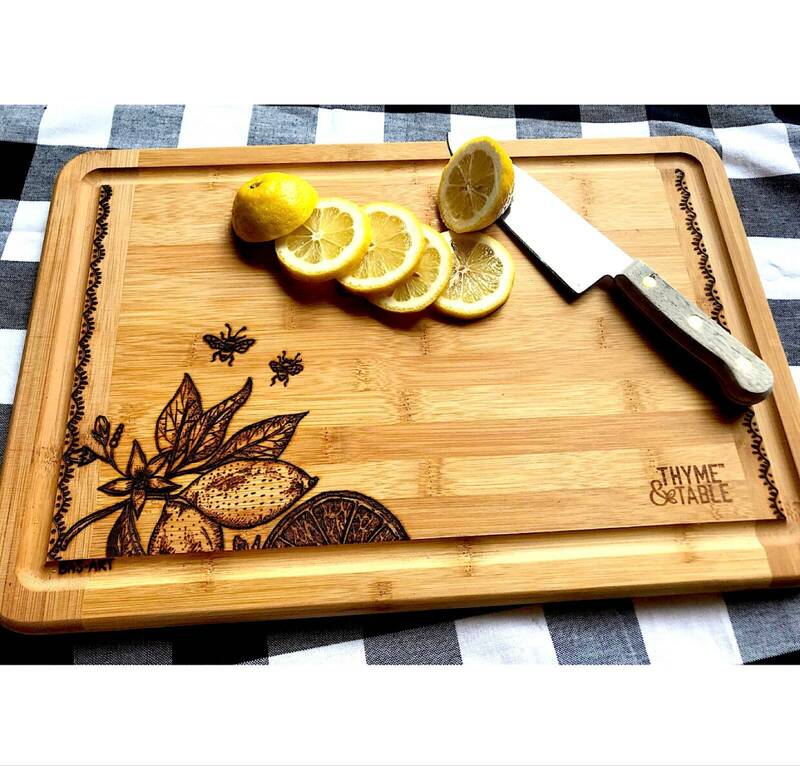 Each cutting board will receive complimentary restoring oil! 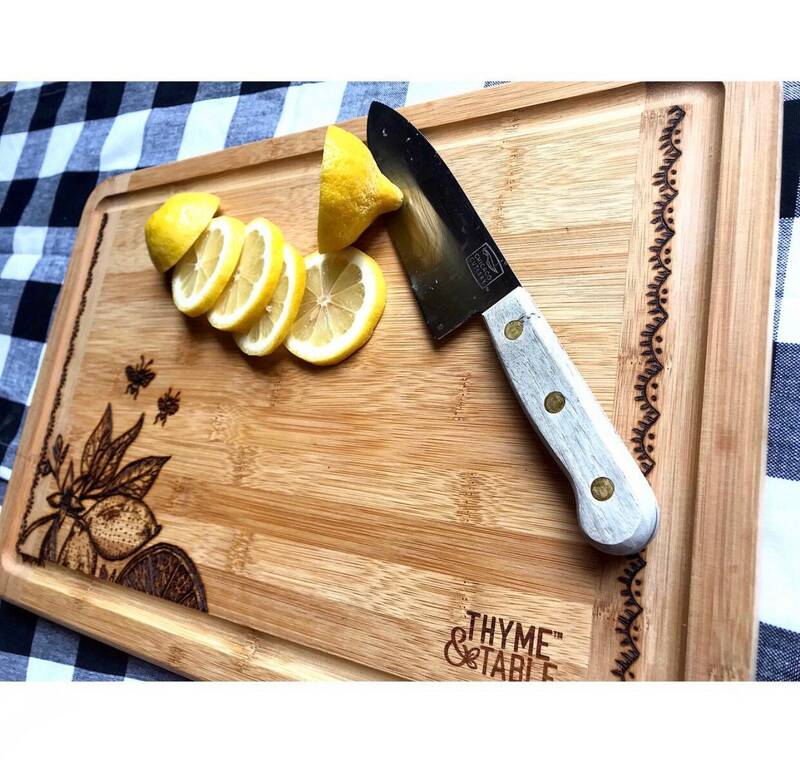 This listing is for the wood burned lemon/bee design, but custom designs/ pictures/sayings are available! 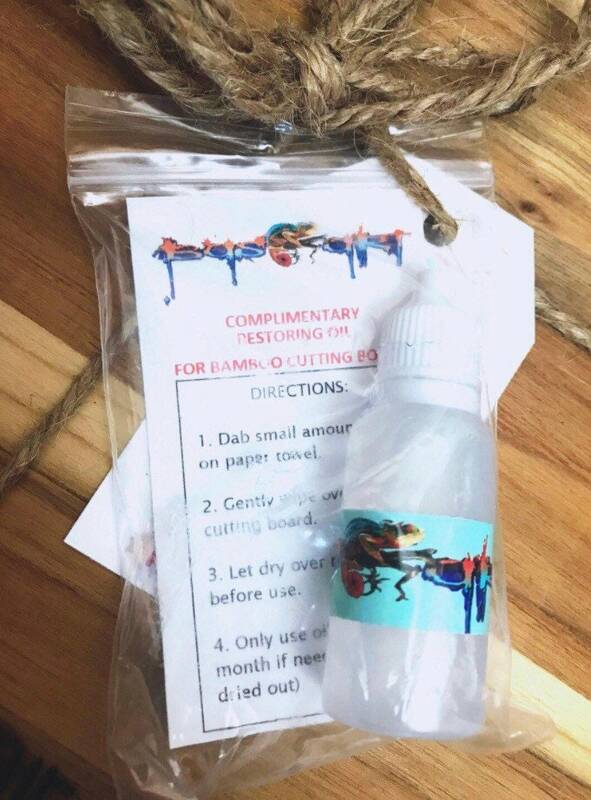 Customs are available—to personalize please message me via Etsy conversation. 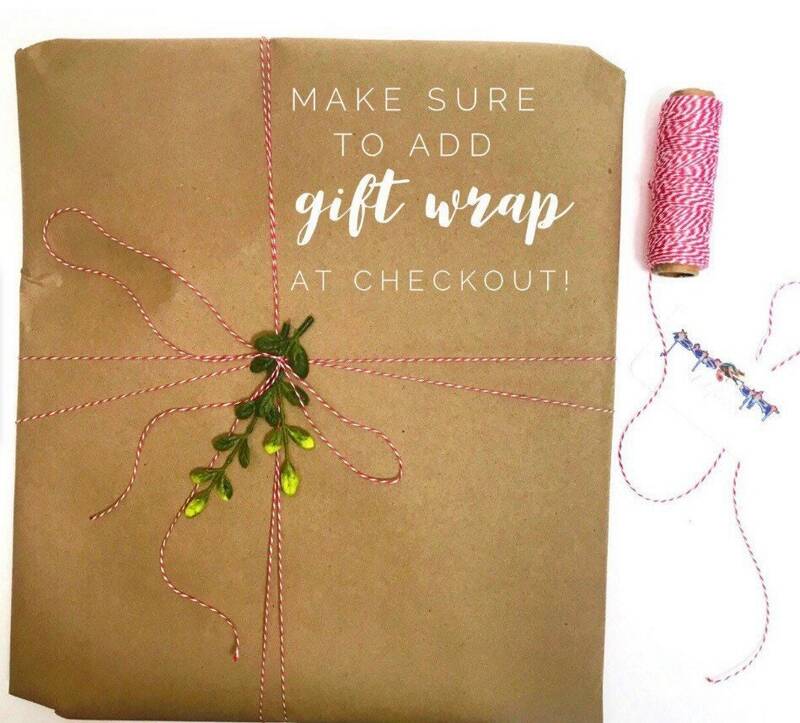 Pricing may vary depending on added detail. 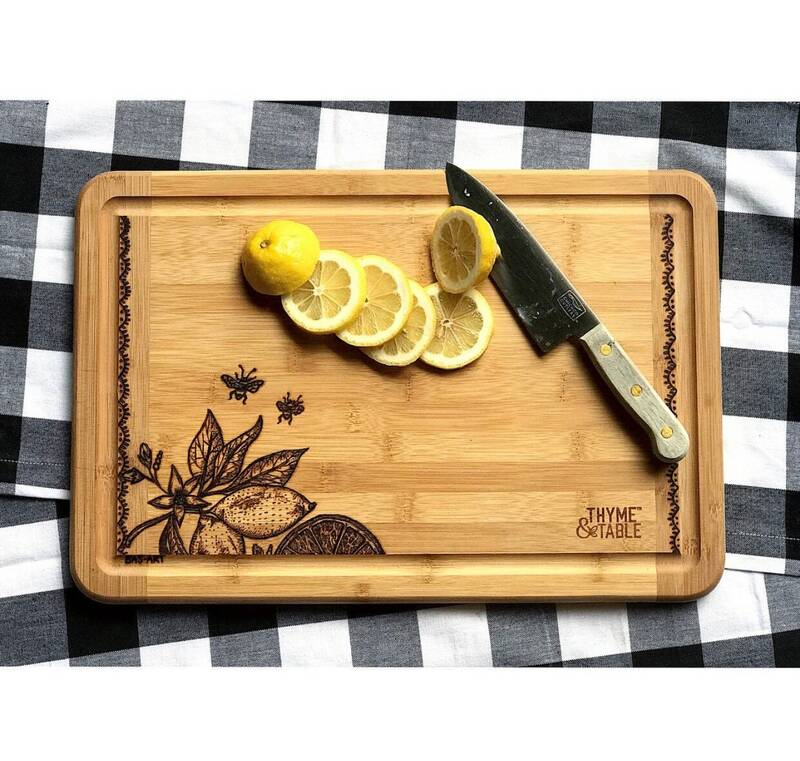 Add this adorable lemon board to your kitchen/dining decor now! 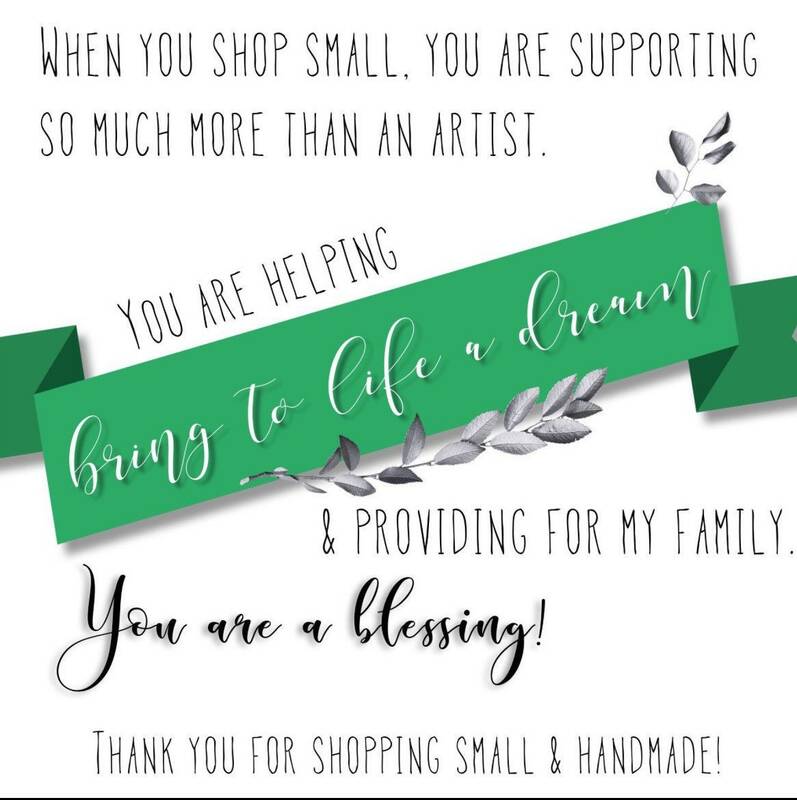 Perfect for housewarming gifts, anniversary gifts, wedding gifts, birthday gifts, Mother's Day gifts, Father's Day gifts, Christmas gifts, etc.